The three major salivary glands in the head and neck are the parotid, submandibular, and sublingual glands (see above diagram). In addition to these major glands, there are over 500 minor salivary glands lining the inside of the mouth. Thus, if one gland is surgically removed, you will not likely notice any degree of dry mouth. Saliva lubricates the mouth to aid in swallowing, and also decreases bacterial overgrowth, which can lead to tooth decay. Tumors may also arise from the salivary glands. Salivary gland tumors may be benign (non-cancerous) or malignant (cancerous). Surgical removal is the main treatment for tumors of the salivary gland. A fine needle aspiration (FNA) biopsy can be done in the office to help with the diagnosis. If the tumor is malignant, radiation and/or chemotherapy may also be used. A parotidectomy is the surgery used to treat benign or malignant disorders of the parotid salivary gland. It is occasionally performed for chronic infections. 2 WEEKS BEFORE SURGERY: Avoid all non‐steroidal anti‐inflammatory drugs (NSAIDs). This includes products containing aspirin, ibuprofen, Advil, Motrin, Naproxen and others. These medicines may increase bleeding. Also, discontinue all homeopathic or alternative medicines such as ginkgo biloba or ginseng. These too, may increase bleeding. DAY BEFORE SURGERY: One may eat a regular diet and take most of your medicines the day before surgery, but nothing is to be eaten after midnight. Clear liquids, however, can be taken up to four hours prior to surgery (water, tea, Gatorade, or coffee without milk). If taking medicines, please check with your physician to see which should be continued. 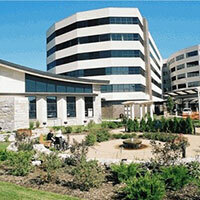 HOSPITAL STAY: Parotidectomy is usually performed with an overnight hospital stay after surgery. Check with your insurance company to see if this hospitalization is covered by your policy. LAB WORK: If lab work is needed, it is done prior to surgery. The timing and location of lab work will be dependent upon where the surgery is performed and where your insurance company requests that you go for your best insurance coverage. You can eat and/or drink as tolerated after surgery. As we ask prior to surgery, we also request you do not take aspirin or other NSAIDs for two weeks following surgery, due to increased bleeding risk. We request you avoid any strenuous activity for one to two weeks after surgery. This will minimize the chances of fluid collection and bleeding. Parotidectomy is performed with an incision in front and below the ear. It is usually a well‐tolerated procedure with only mild to moderate pain afterwards. You will be given pain medicine and possibly antibiotics. Serious complications from parotidectomy are very rare. The indications and risks of surgery, as well as expected outcomes, must be understood prior to proceeding with your surgery. In addition, you must understand your alternatives to the surgery. Your alternative is not to have the surgery performed. This would leave you in your current condition. Facial nerve injury. The majority of the technical aspects of parotid surgery are designed to avoid injury to your facial nerve. The facial nerve controls the facial muscles that allow you to purse your lips, open your lips, close your eyes and raise your eyebrows. It is not uncommon to have a temporary weakness of one or more of the nerve branches that control the muscles. Permanent injury to one or more of the branches of the facial nerve is rare. If this was to occur, the muscles that are controlled by the particular nerve branch would not be able to contract, leaving paralysis of those facial muscles. Ear lobe numbness. Often the nerve that gives you feeling to the lower half of your ear is intentionally sacrificed for surgical exposure purposes during the surgery. This leaves you with permanent numbness to the lower half of your ear. Frey's syndrome (gustatory sweating). The function of your salivary gland is to produce saliva to assist with chewing and digestion of food. Running through the salivary gland are nerves that direct the salivary gland to secrete saliva into the mouth. Parotidectomy leaves some of these nerves exposed to the sweat glands of the skin that have been elevated in order to perform the surgery. On occasion during healing, these nerves can re‐ grow directing their signal to the sweat glands rather than to the salivary gland tissues. If this was to occur, the skin overlying the surgical site may sweat with eating. If this was to occur and it becomes problematic, you may purchase over‐the‐counter clear antiperspirants to rub over this skin area to help prevent the sweating associated with eating. We make attempts to avoid this problem by inserting a tissue layer between the elevated skin and the exposed remaining salivary gland. Seroma/hematoma/sialocoele: In order to prevent fluid, blood or saliva from collecting under the skin, you will have a drain placed to help escape of excessive fluids. You may also have a snug compressive dressing placed for several days to help prevent a fluid, blood or saliva collection under the skin. Occasionally however, fluid, blood or saliva does collect under the skin making an additional minor surgery necessary, as well as needing a longer term pressure dressing in order to resolve. Very rarely there could also be a salivary leak out of the incision, called a salivary fistula, which is treated in a similar fashion. Your operation will be carried out under a general anesthetic. There are rare but serious risks of anesthesia. Please feel free to discuss any specifics of the anesthesia with your anesthesiologist. 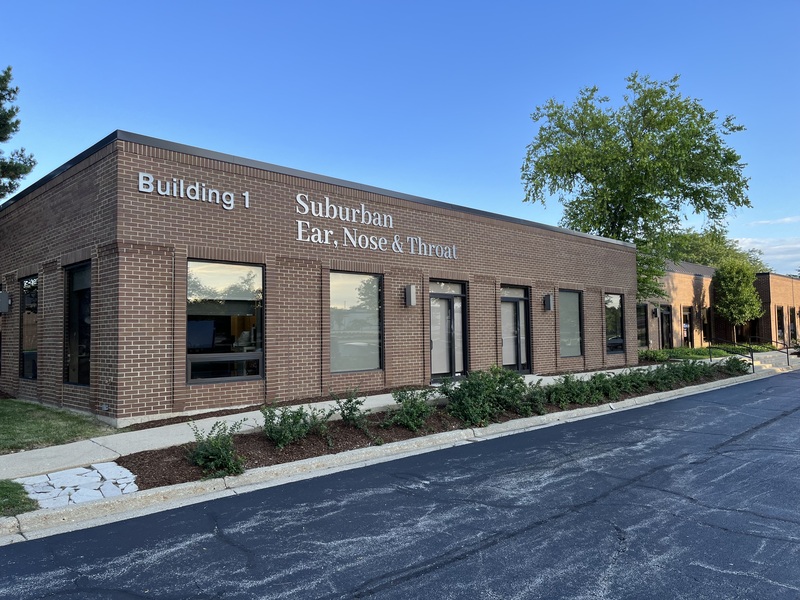 At Suburban Ear, Nose and Throat Associates, Inc., we go to great lengths to try to help you understand your plan of care. If at any time during your care you have questions or concerns, please call us at 847‐259‐2530.